A great car gift for the driver, a clear sided bucket packed with individually foil wrapped chocolate road signs. 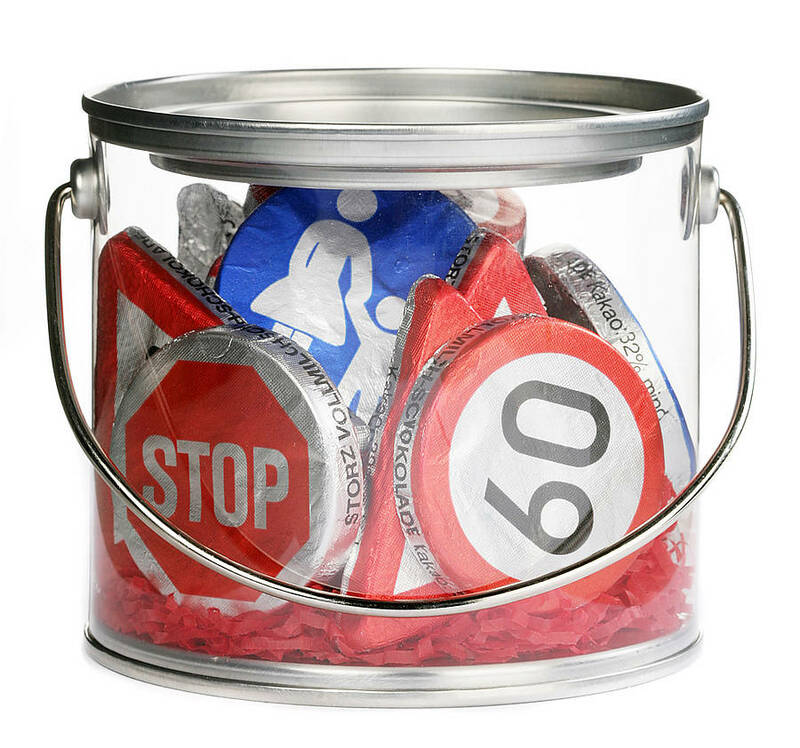 Treat any car lover with these great chocolate road signs practically packed in a clear sided tin bucket ready to transport wherever they are needed. 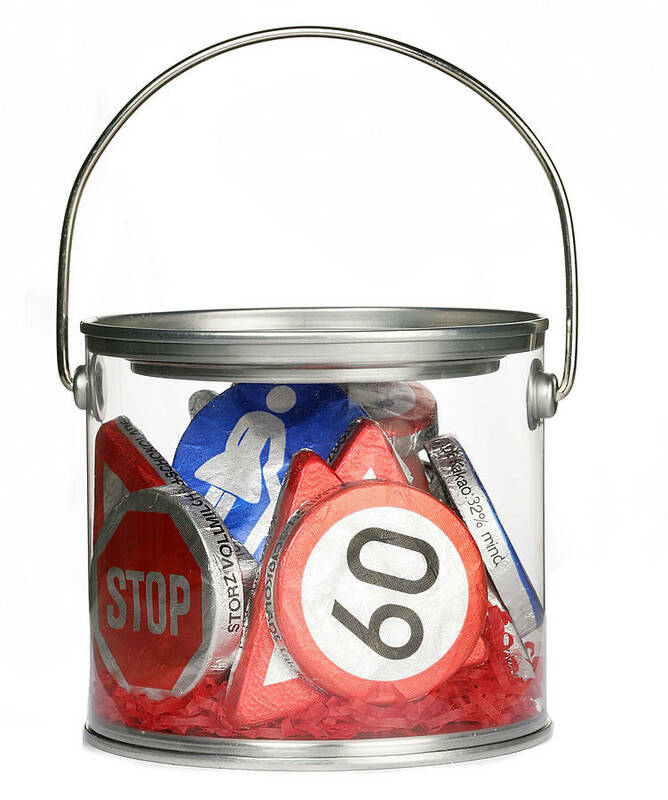 A great present for birthdays, Father's Day or the perfect gift for a new driver. 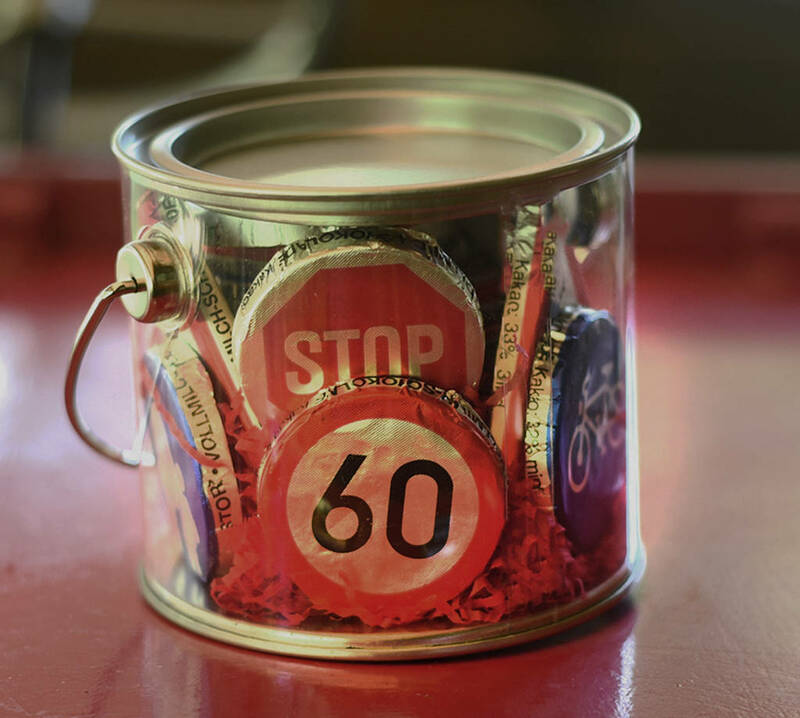 Each tin contains 15 assorted roads signs made from solid chocolate and foil wrapped. 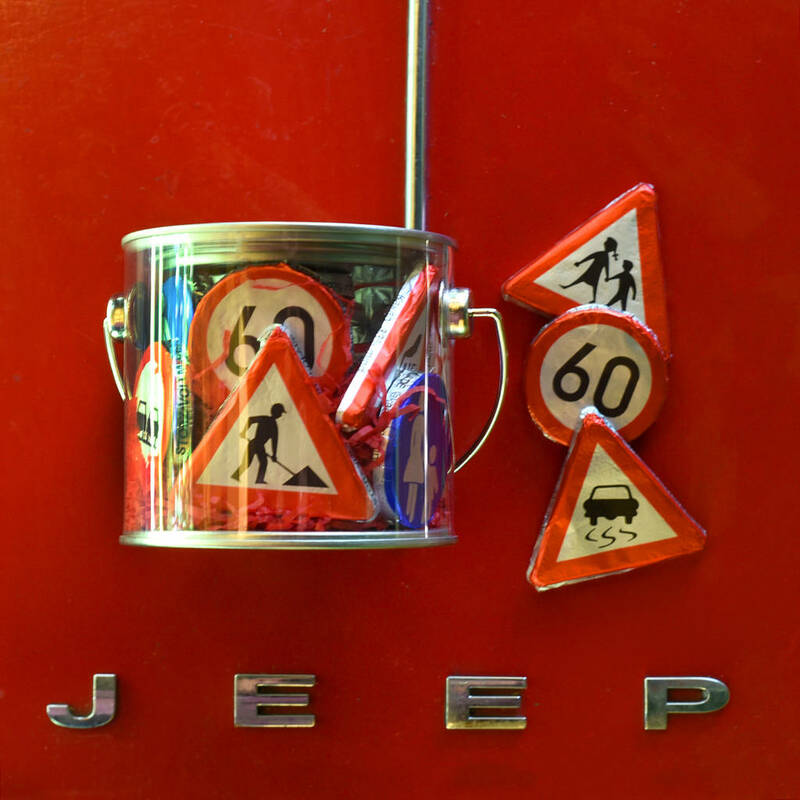 Each sign weighs approximatley 12.5g. 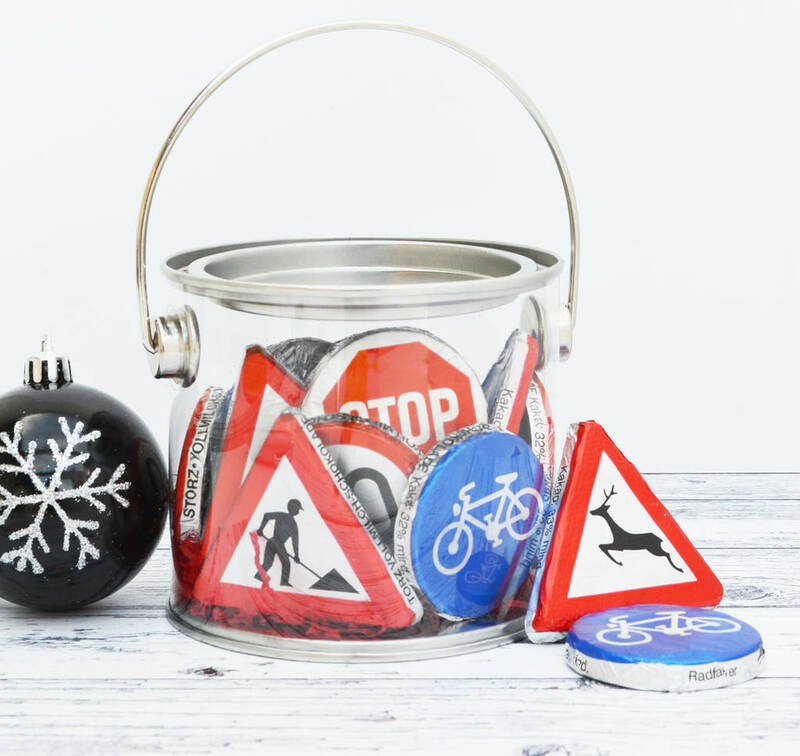 Actual sign designs will vary and some duplicates may occur. Allergen advice : Contains soya and milk derivatives. May contain traces of nuts. 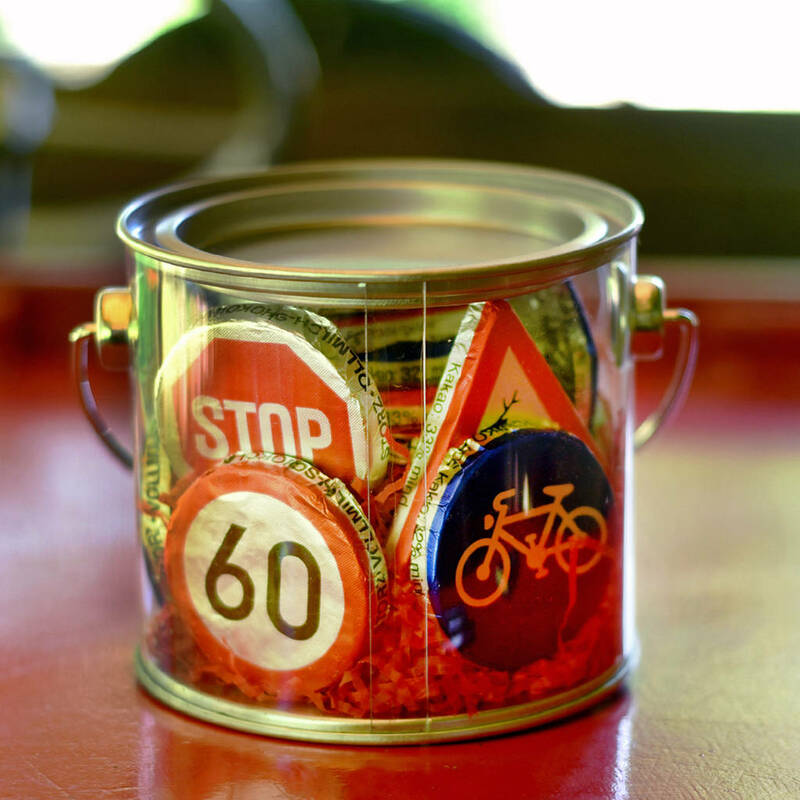 The tin has metal base and lid and clear plastic sides.